Dru Anderson: Night Hunter. Knife Wielder. Heart Breaker. Dru can sense evil, which helps when she and her Dad are tracking down ghosts, suckers, wulfen, and the occasional reanimated corpse. It's a dangerous life, but it's the only one she knows. Then Dru's dad turns up dead and she suddenly finds herself in the middle of a deadly game where every move she makes could be her last. Dru is more special than she realizes - and whatever killed her dad could be coming for her next. Can Dru stay alive long enough to fall for one - or both - of the guys hungry for her affections? Find out in the heart-stopping first book in a thrilling series. I absolutely loved this book so much. This intense atmosphere, and they way Christophe and Graves were totally enemies on the same side. Who needs Buffy, when you can have Dru. This is the basic love triangle story with a fantasy side to it. In this case, Demon hunting. It is set in the real world - a world all around us made up off monsters and demons. Dru... was an interesting character, always full of surprises around every corner. I like how, for a change, the girl is the hero/fighter and not the love interest/boy. It's a very different book but in a good way. 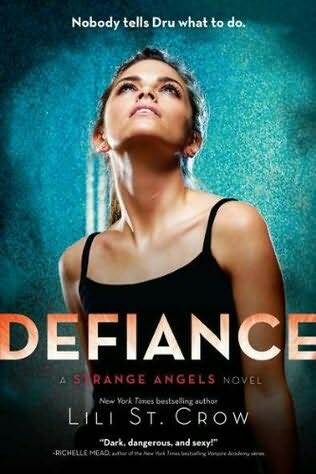 One thing that got me was I don't enjoy reading the buffy books so much but this I absolutely loved, I mean people are going to compare Strange angels and Buffy but they're not that a like... 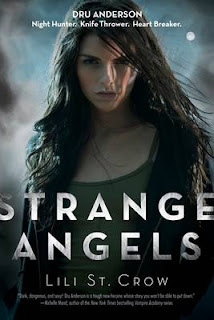 Strange Angels is better. My favorite character was definitely Graves. The was a warm homely friendly sense about him underneath the goth camouflage. I mean most of the characters were easy to get to know but some seemed to have a really cold presence around them. 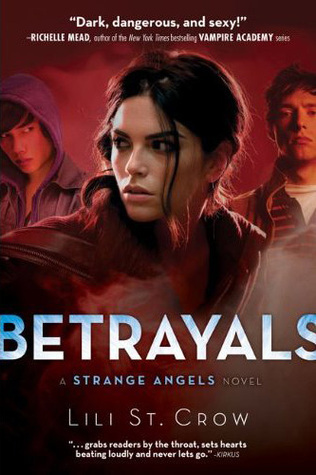 Like christophe showed trustworthy but i still don't trust - there's something about him but i guess we'll found out in Betrayals - the sequel. I thought the plot was very common when i first started to read this but then i got into it and realised it was more than the, as they now call it, 'twilight plot' - which consists of a girl two boys who she plays eventually causing the other boy to fall in love with her child. Do not take this comment the wrong way - i absolutely love twilight. Maybe the reason i liked this more than buffy is that there is no realism to buffy. None. Nada. But with strange angels it all seemed so real. Like Graves and Dru had been plucked out of my local high school. It is not a cheesy horror book and I absolutely heart so READ IT - and you will lurv it.